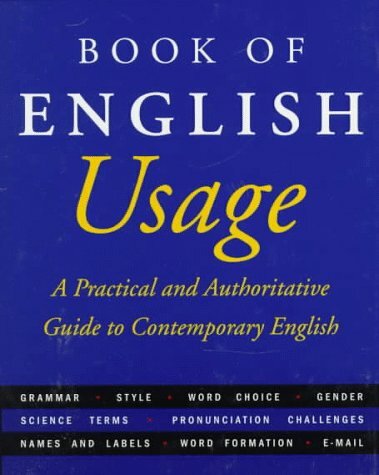 [PDF] The American Heritage Book of English Usage: A Practical and Authoritative Guide to Contemporary English | Free eBooks Download - EBOOKEE! Description: A lively and accessible introduction to English usage provides a close-up look at and explanations of a range of grammatical problems, including grammar, style, diction, pronunciation, word formation, gender, social groups, and science terms. No comments for "[PDF] The American Heritage Book of English Usage: A Practical and Authoritative Guide to Contemporary English".